Social media influencers are undoubtedly becoming one of the most effective agents to market a product or a brand. However, many popular users and brands have recently come under fire for not disclosing sponsorship and advertisement deals. As a result, followers are misled and put in the frustrating position of buying a service or product that is not as good as they hoped it would be. Paid partnerships can be incredibly beneficial to both a brand and an influencer, but only if the relationship is completely authentic and both parties are totally transparent. Although some companies and influencers feel discouraged to disclose a partnership in fear that it will not seem genuine to followers, there are ways to go about these deals that followers can appreciate. 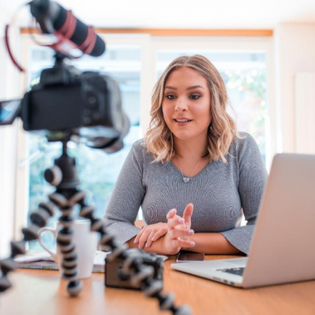 Whether they’re writing an Instagram post or promoting a product at an actual event, a brand needs to ensure there will be a genuine connection between an influencer and their guests and followers. I have witnessed poor representation of a brand by influencers at both in-person events and online. In both circumstances, it quickly becomes clear that the influencer is totally unprepared and PR representatives end up taking all the heat. In order to prevent these headaches, here are a few tips on how a brand can work on making these relationships authentic and build trust and appreciation among consumers, fans and followers. I was once at an event where the influencer the brand picked to talk about their shampoo had no idea what to say. It was awkward because it was clear that the relationship between the brand and the influencer was completely ungenuine, and the product automatically lost credibility in front of the guests because the influencer clearly did not use it. It is imperative that brands have a conversation with the potential influencer and make sure they know everything about the product before choosing them to advertise it. A good way to make sure this happens is to choose a digital influencer based on whose content best aligns with your vision as a brand, not just because they are a popular influencer. There should be some sort of public buildup of a relationship between your brand and an influencer. That way, if and when the sponsorship comes about, it makes sense to the users, consumers and followers and isn’t coming from out of nowhere. It gives credibility to the sponsorship and the best way to do this is to get a conversation going, whether that’s through liking and commenting on the influencers post, sharing their work or content on your stories or inviting them to events. Additionally, be sure to engage with your own personal audience to see what they are interested in. Establishing a relationship with a brand that came from a user suggestion shows that as a company, you value your followers’ input. Online, this means that the brand’s followers and the influencer’s followers share that their content is sponsored. It can still be very collaborative and thoughtful content, even if it has an #ad or #sponsor, but that relationship needs to be disclosed. At in-person events, the influencer should take a moment to talk about how they were so excited when the brand reached out, or better yet, that they’ve been wanting to work with the brand for a while and couldn’t think of a better fit. Attendees will appreciate the transparency and, if it is with an influencer that really does make sense for the brand, they will understand and respect the nature of the partnership. There are many ways the influencer/brand relationships are going to grow and evolve, but I think we all want to know those relationships are genuine and authentic. By doing extra research to ensure your influencer is a perfect fit, creating a public rapport and being completely transparent about a sponsorship, the partnership becomes an exciting collaboration rather than a suspicious or confusing pairing. Make sure to keep conversations going with everyone involved (from the consumer to the spokesperson), and you’ll have a durable and reliable partnership everyone can benefit from.